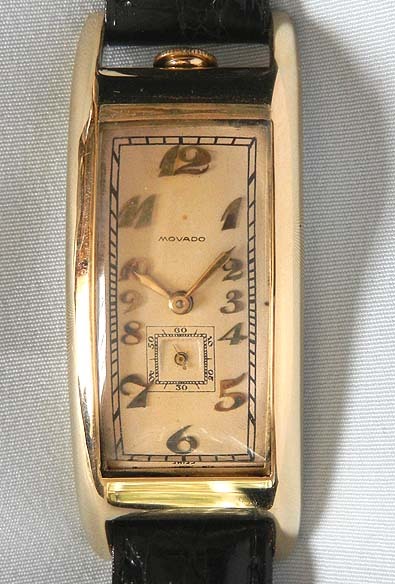 Fine and scarce 14K yellow gold Movado Polyplan oversized vintage wrist watch circa 1912. 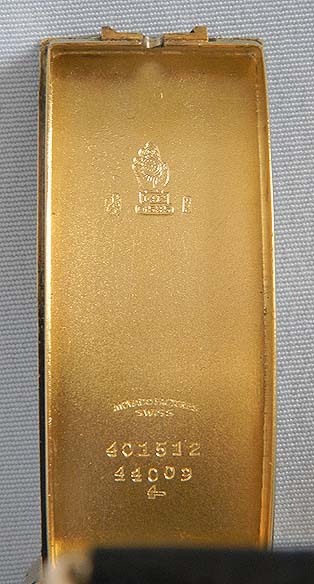 Oversized case with the crown at 12:00. Original silver "shoebox" dial with sides (light signs of age) with applied gold arabic numerals and gold hands. This is a wonderful design. 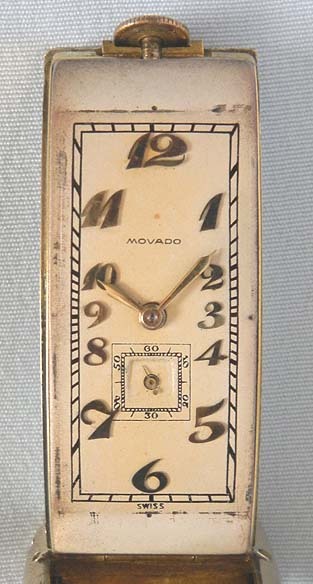 Movado's movement design with the gears on three separate planes enabled the case to follow the curve of the wrist while allowing space for larger gears, a more robust balance assembly, and a larger mainspring resulting in a more accurate timepiece than the typical curved watch with a small round movement. Movado made these watches in very small numbers over a period of about 20 years. The unusual movement was difficult to construct and very expensive, and not many examples have survived.